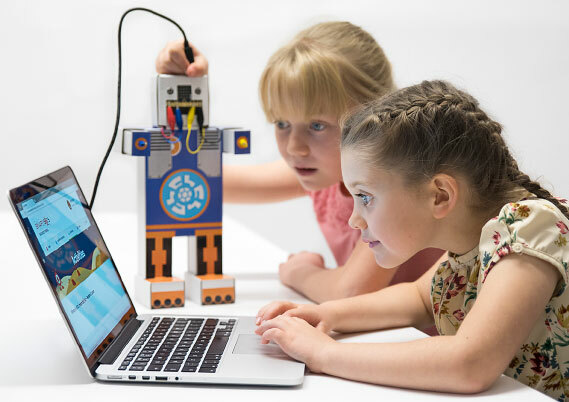 The Robot who can teach kids to code. Binary's UFO™ is a super sensing saucer! With an awesome motorised pincer. 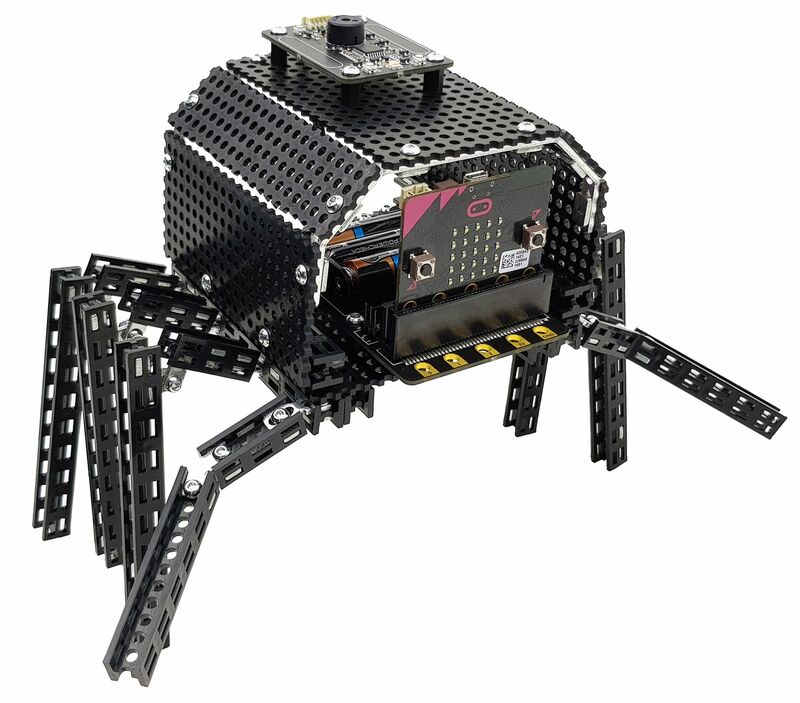 With a powerful motorised web. 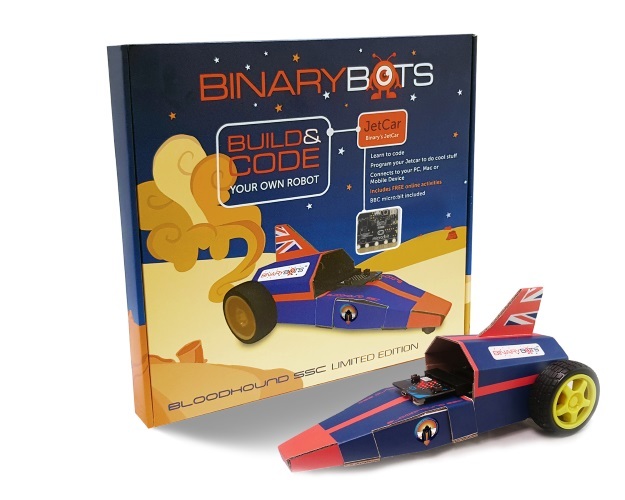 The starter range of our kits are 'Cardboard2Code' robot kits. 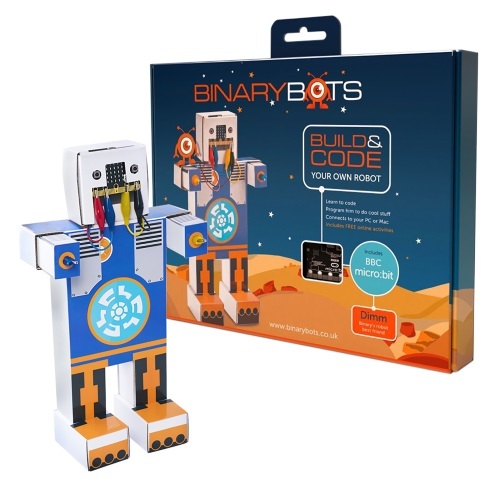 They each come with a flatpack robot, glossy stickers, easy to follow instructions, a BBC micro:bit computer and lots of extra sensors for hours of activities. 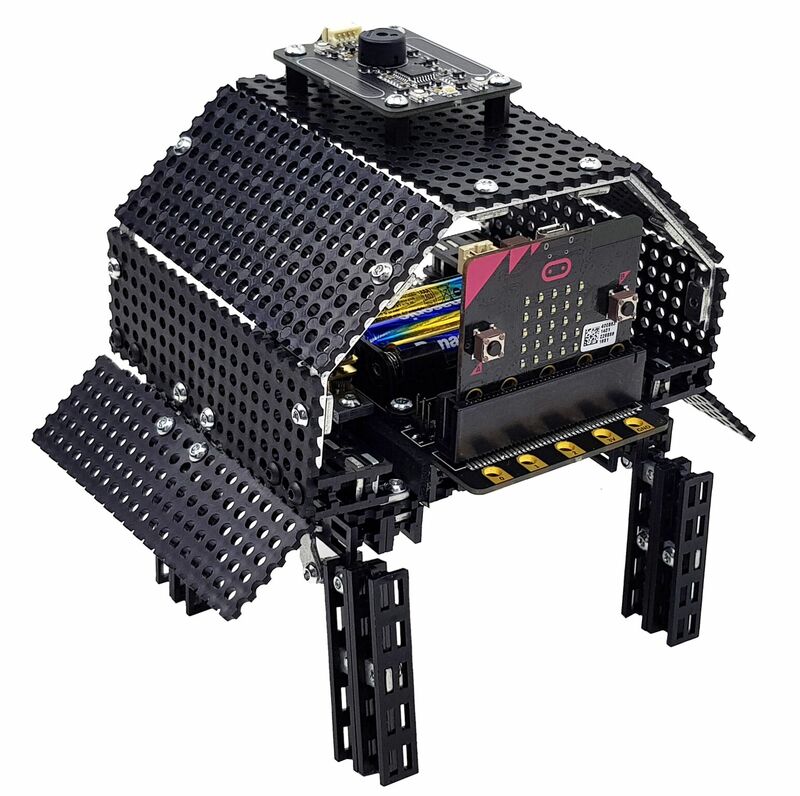 Our Planet Totem range is perfect if you have had experience of coding or building with products before - the kits come withat least 160 pieces and the required tools to build an animal that can be brought to life with code. 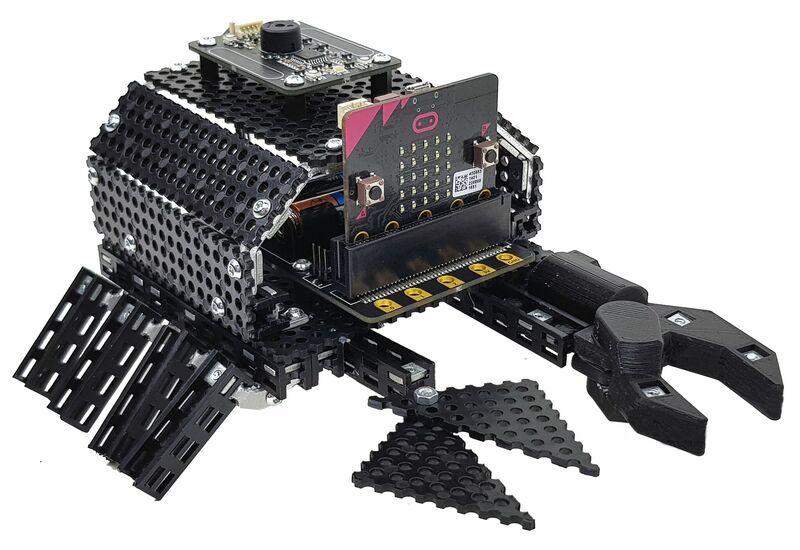 This kit comes with our awesome sensor board that can detect 'pokes & strokes' to imitate an animals instincts! Now you can be an inventor! 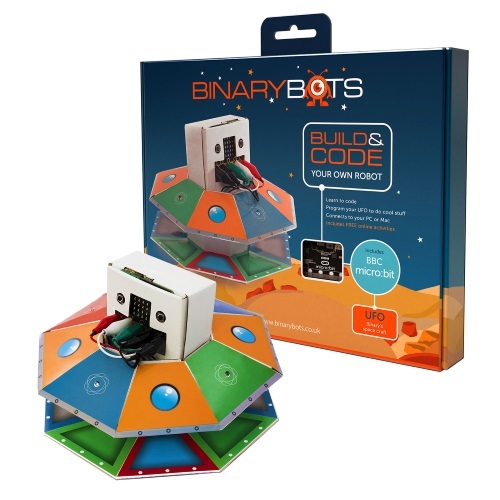 BinaryBots™ bring coding to life! 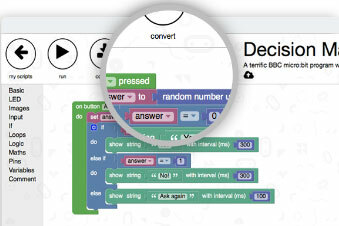 It's so easy and fun to learn to code with lots of activities to show you how make the robots do what you tell them to!